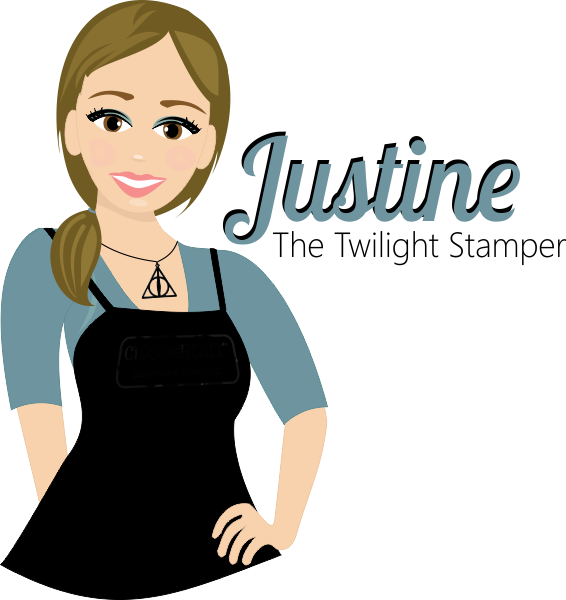 Justine's Cardmaking: Top 10 Favourite Card Creations of 2014 + Never Before Seen Video! Top 10 Favourite Card Creations of 2014 + Never Before Seen Video! Today I am reflecting on my artwork from the past year (and might I say thank goodness I brushed up on my photography skills late this year because the lighting from my previous photos was horrendous!). 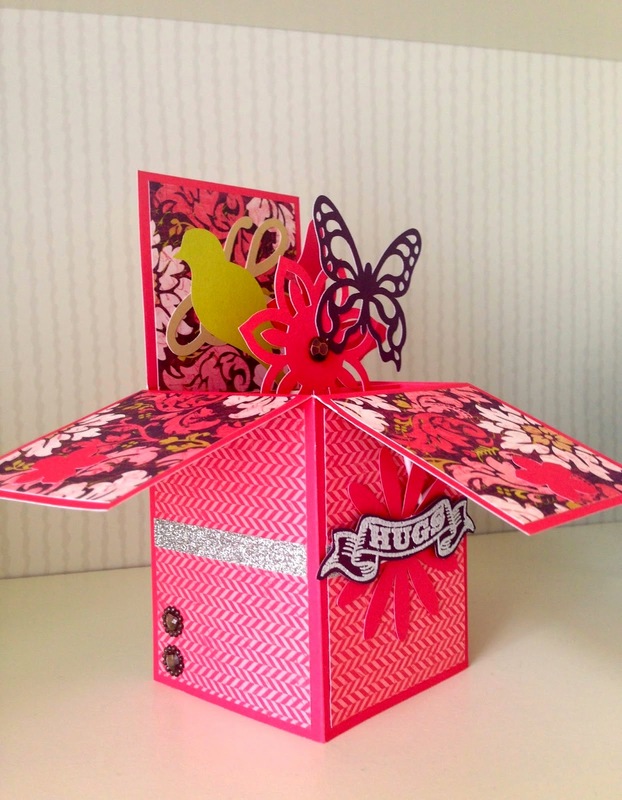 The year 2014 took us into some new trends such as Washi tape, shaker cards, pop up box cards, and sequins. I think I managed to try them all out. 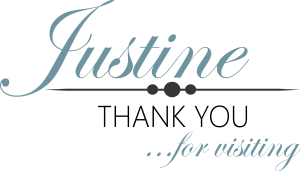 Let's take a look at my top 10 favourites and at the end of this post there is a new video tutorial featuring on of my favourites that I filmed afterwards! I think it is the subtle, yet time-consuming masking technique combined with the kraft cardstock that makes me love this card so much. One of my first attempts at Washi Tape. 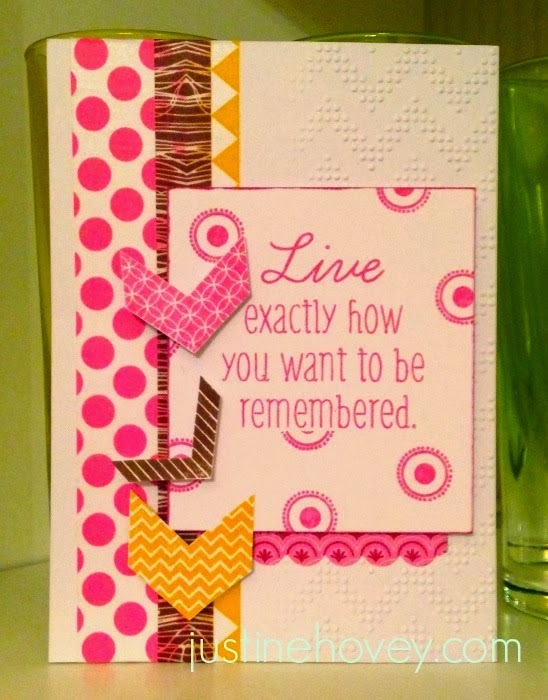 I love the bright colours and positive message - that half embossing on the right side added a cool texture. Another trend-friend of 2014 - the pop up box. I made this for a friend who needed a little pick me up. I love the colours combine with the die-cuts. 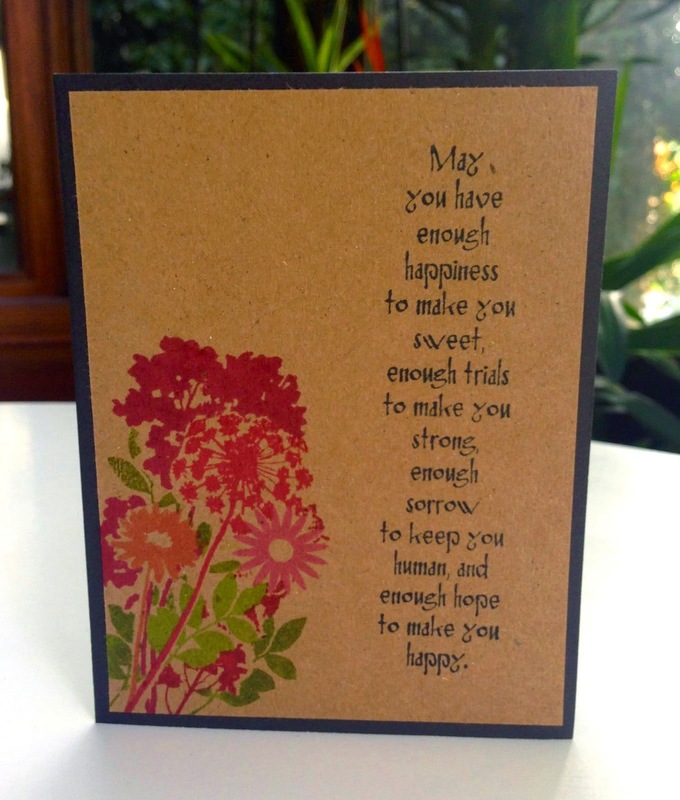 I love giving cards and it warms the heart! See that side shimmer - that is shimmer trim, my favourite thing ever. It is the bold layers that make this card so beautiful. Black, red and white make such a stunning combination. This card is rockin' and rollin' (see what I mean about better photography!). 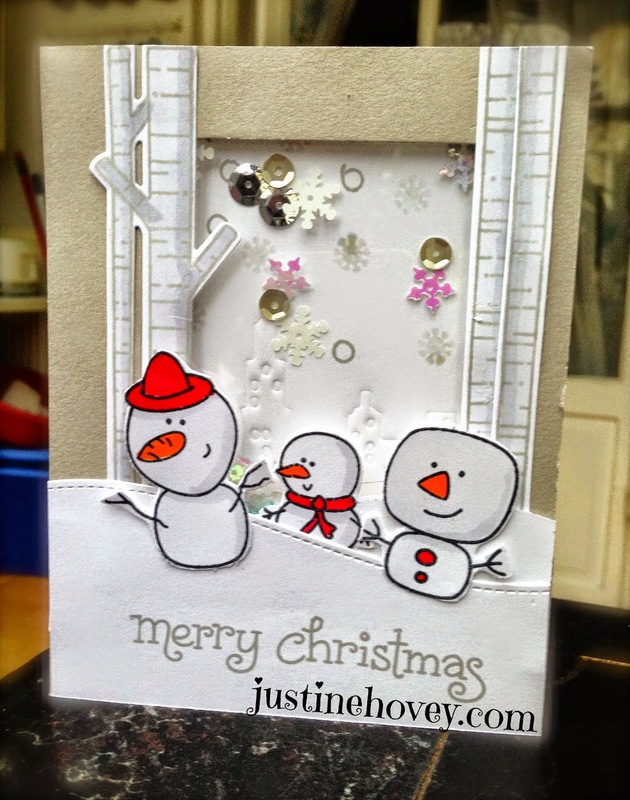 Love this card I created for the So Suzy Design Team. 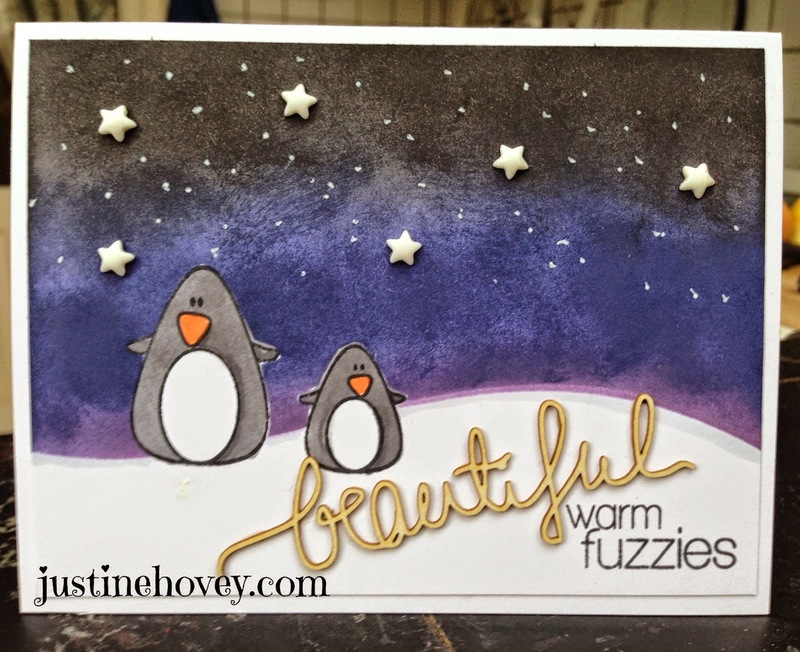 I love this night sky create with Distress Inks and those little penguins that kind of remind me of candy corn for some reason. So sweet! 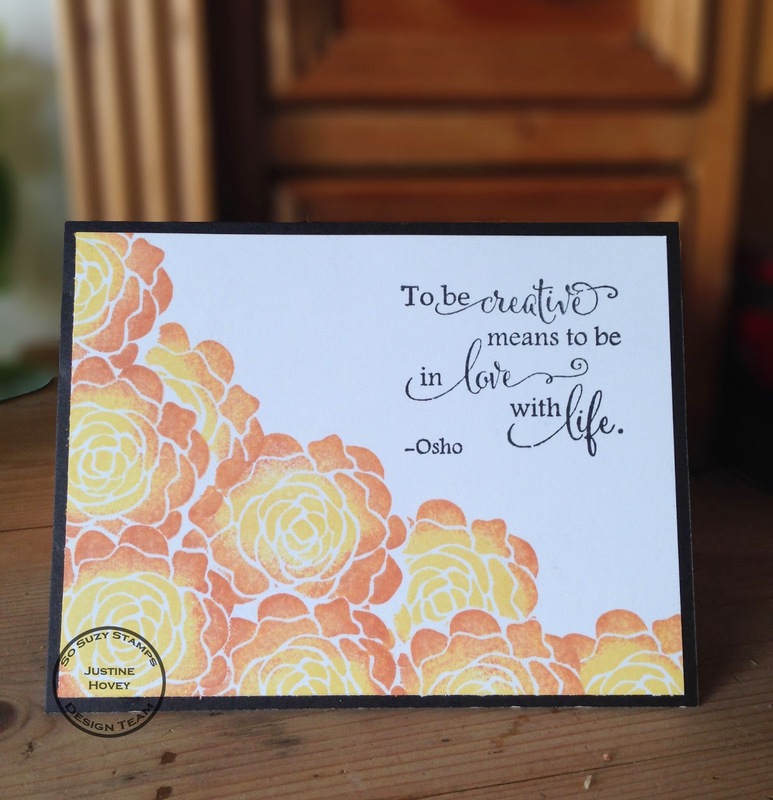 I love those chipboard letters from Create a Smile Stamps as well, they are bendy yet strong! 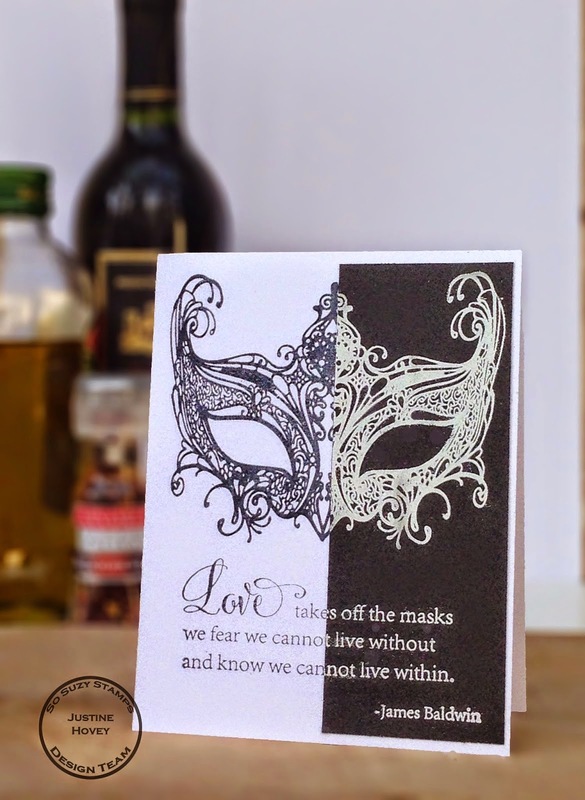 The Venetian Mask stamp reminds me of the film Black Swan or that Dark Side Katy Perry Song. 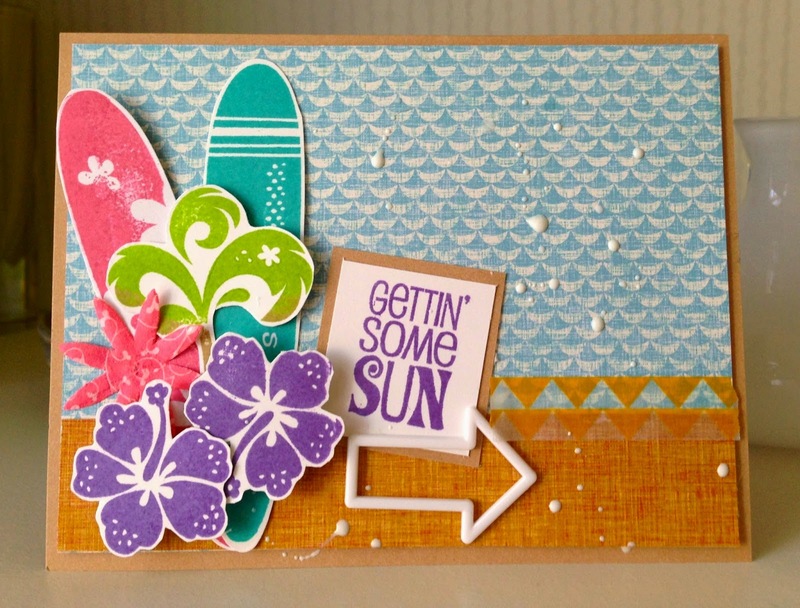 This two-toned card is simple to make yet the detailed stamp is stunning! Another 2014 trend: Shaker Cards! I just love all the small details about this stamp from the copic shadowing on the snowman to the city skyline embossed into the background. I seriously had a hard time figuring out who to send this to for Christmas! This card is just majorly fun, don't you think? I love this colour combination of Close to my Heart colours: Lagoon, Cotton Candy, Gypsy and Pear. That white enamel arrow and white droplets just add the perfect finishing touch! 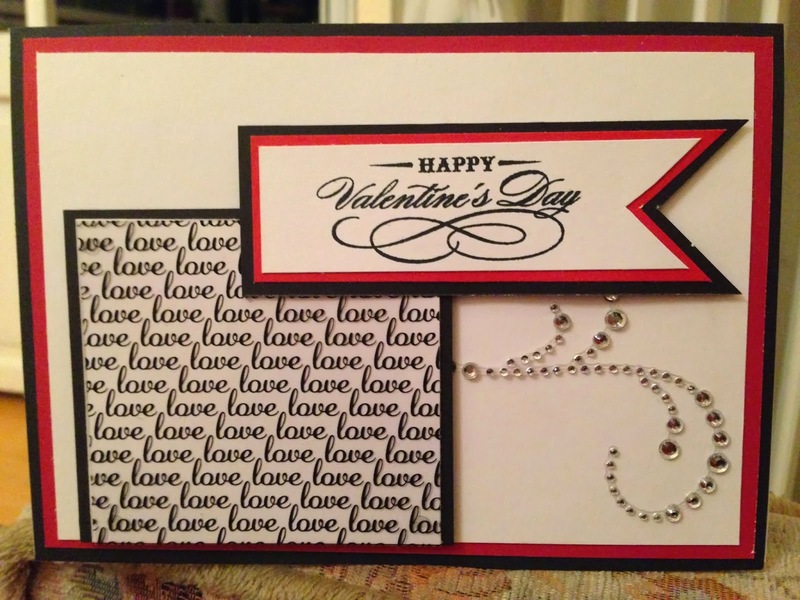 This card I created from inspiration from the Online Card Classes. It combined some "wet stamping" and actually came together quickly. Create this look by inking up a background stamp with distress inks in various colours, spritzing it with water slightly and stamping. 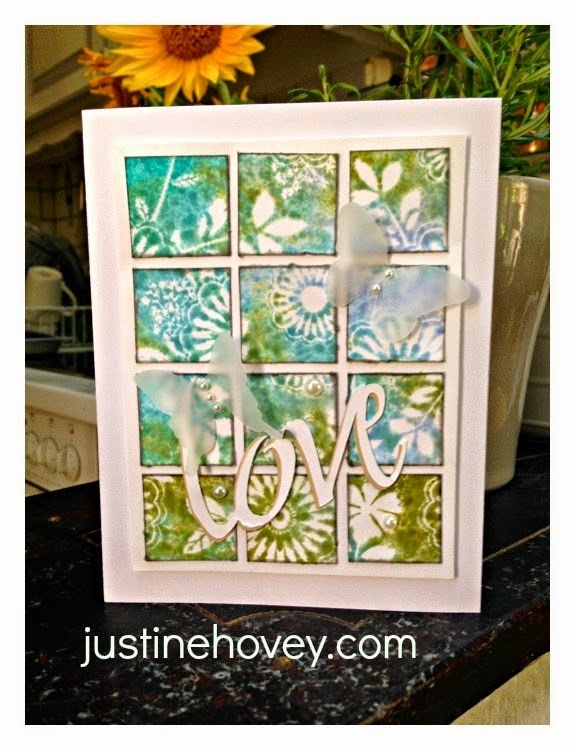 Cut the background into 1' squares and apply to a card front! Voila! Here is a video card tutorial featuring Card #4 Venetian Mask! I love your #2 card and OMG! The penguins DO look like Candy Corns! LOL You had a positively fabulous year of card making!